IS Gift Winged Unicorn Snow Globe features gold glitter snow. 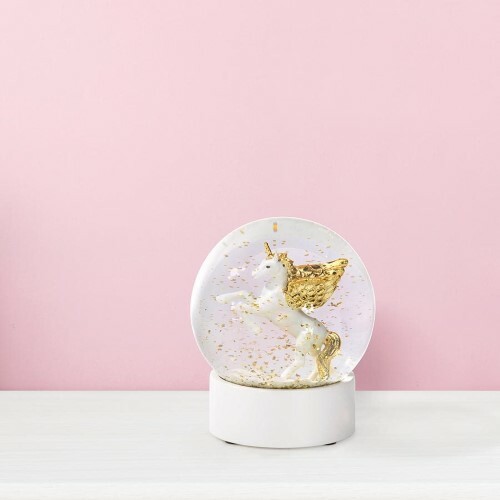 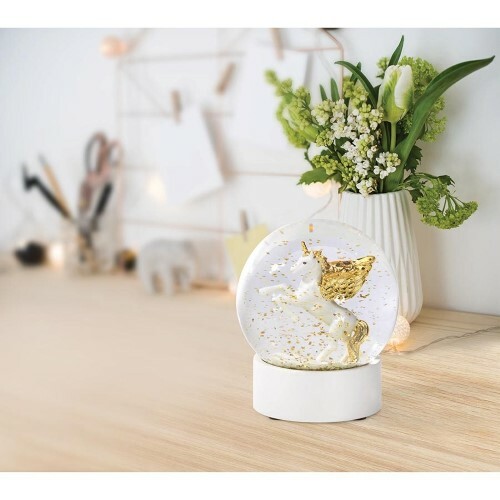 Shake some sparkling unicorn magic into your world with this winged unicorn snow globe. 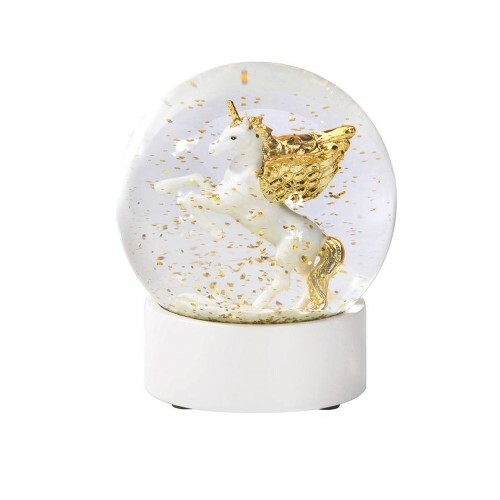 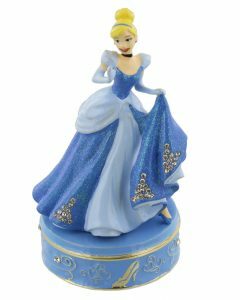 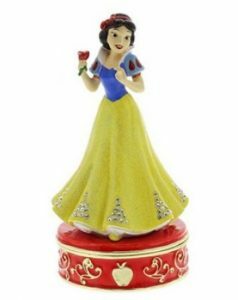 This beautiful snow globe would be a lovely decor item for children and adults alike.